Hollywood is adding to US foreign policy woes at an incredible rate. No less than four current movies are causing upsets in various parts of the world. The movie revolves around a comedic attempt to assassinate the leader of North Korea. Along the way it makes fun of the more comical aspects of the regime. As the US has never had good relations with North Korea anyway, Pyongyang’s anger can largely be ignored. But other movies are also a problem. “American Sniper” has been labeled racist by Muslims who see the conflict with ISIS as a continuation of the clash of civilizations between the “Christian” West and the Islamic world. The movie tells the true story of the US military’s greatest sniper, who killed over 200 people during the conflicts in Iraq and Afghanistan. As all his victims were Muslims, he, therefore, must be a racist. Don’t look for logic – it’s not a strong point with people who grew up in the Middle East. “Unbroken” is also a problem, this time with the Japanese. Conservatives in the country are upset over the way Japan’s troops are portrayed in the film, which again is a true story, telling the story of Olympic athlete Louis Zamperini’s experience in a Japanese prisoner-of-war camp in WWII. It’s not the first movie to depict the horrors of life in a Japanese POW camp. They had no respect for prisoners as their own military culture taught that fighting to the death was preferable to surrender. The truth is the truth. No apologies need be made for “American Sniper” or “Unbroken”, assuming they stuck to the truth. Even “Exodus” has been quite controversial, thousands of years after the event. My wife and I didn’t like it. Nor did the Egyptians who said it was “inaccurate,” that Jewish slaves did not build the pyramids and that the depiction of ancient Egyptians was not accurate. Although the depiction of the plagues was interesting and imaginative, and Christian Bale played a convincing Moses, the parting of the Red Sea and receiving of the Ten Commandments were much better in the 1956 version, when special effects were more primitive. Perhaps the downplaying of the commandments reflects changing societal attitudes in the interim decades. In Egypt, ‘Censors objected to the “intentional gross historical fallacies that offend Egypt and its pharaonic ancient history in yet another attempt to Judaize Egyptian civilization, which confirms the international Zionist fingerprints all over the film,” the statement said. Hollywood has always had a problem with religion, rarely depicting biblical events with any degree of accuracy. “The Ten Commandments” (1956) was one of the better biblical movies, with considerable input from Josephus. But Hollywood has also had a serious problem with history. I cannot think of any historical movie made in Hollywood that was 100% accurate. “Braveheart” has been labeled the most historically inaccurate movie ever made, with 87 historical inaccuracies, according to one website. 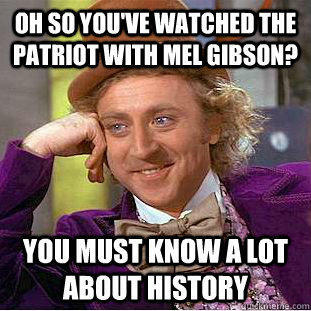 Another Mel Gibson movie, “The Patriot” got the prize for the fourth most inaccurate movie in history. Amongst other things, the movie depicted British soldiers burning down a church with people in it. 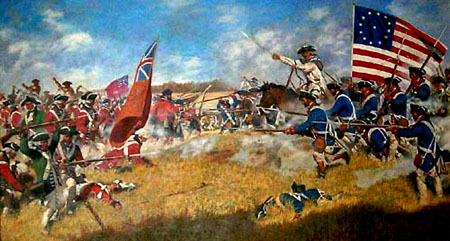 The film was set during the Revolutionary War. British soldiers have never burned down a church full of worshippers, never at any time in history. If they did, they would be court-martialed and severely punished. But it made for great entertainment! At least he was honest. Perhaps his anti-semitic rantings owe their origin to the same ignorance of history! Hollywood has always had a problem with history. Exactly a century ago next month, what is considered the most influential movie in American history, premiered. “The Birth of a Nation” was an anti-black, pro-KKK movie that led to riots in cities across America. The film was set during the Civil War and Reconstruction and blamed African-Americans for the problems that plagued the US during this period. The NAACP tried to get the film banned. The movie was the first motion picture screened at the White House, then occupied by President Woodrow Wilson. In an age when few people read anything in depth, preferring to spend their time with electronic gadgets, including TV and DVD’s, movies are perceived as fact. But they rarely are. If you want to know the facts, you have to read and do the research. The 1960 John Wayne movie “The Alamo” was made with two historical advisers during production. One of them walked off the set saying, “there isn’t one minute of historical accuracy in this film” but it hasn’t stopped people watching it in the last 55 years. Hollywood has a responsibility to strive for accuracy. It can be done. Good movies can be made while maintaining accuracy. “To Kill a King” is a prime example. This is a British movie about the English Civil War, the execution of the King and the subsequent Republic under Oliver Cromwell. The film was lauded by historians as the most accurate historical movie ever made. Sadly, it’s hard to track down. Perhaps, after all, people are not interested in facts – they just want to be entertained! Bernard Cornwell is an American novelist who has written dozens of books on English history. I’ve just finished his first novel on Alfred the Great, “The Last Kingdom,” set in the ninth century when the Danes (Vikings) were raiding England and wanted to take over the country. England at the time was more than one kingdom. The Danes conquered all the other kingdoms until finally only Alfred’s kingdom of Wessex, in the south and west of the island, survived. If the Danes had succeeded in conquering the last kingdom, they would have killed all the English males and there would have been no England. It’s not surprising that Alfred is the only English monarch described as “the Great.” Without him, the country would not exist today. The Danes at the time were ruthless. They still worshipped the pagan gods of Thor and Woden. Because they were usually victorious against the “Christian” (Catholic) English, they considered their gods superior to the Christian god. They were particularly fond of raiding churches and killing priests (churches had more money than anybody else). Their favorite method of killing was beheading, a subject that has been in our news a great deal lately. Coincidentally, the non-fiction book I was reading at the same time as Cornwell’s was “When Baghdad Ruled the Muslim World,” by Hugh Kennedy, a far more challenging read. I remember having a problem reading Russian literature in my teens because I could not keep track of all those Russian names; believe me, Russian names are a lot easier than Arabic. This book is set in the same time period as Cornwell’s. As in “The Last Kingdom,” there are plenty of beheadings, the preferred punishment for opponents and anybody the caliph did not like. Having said that, the Muslim world was far more advanced than England at the time. The Danes were still a problem two centuries later when Saxon King Harold took his troops north and defeated the invading Danes at the Battle of Stamford Bridge, which was fought on the 25th September, 1066. He then had to rush south to fight the invading Normans at the Battle of Hastings. Harold lost the battle and lost his life. England came under Norman rule. Beheadings continued. During the Peasants Revolt in 1381, the rebels beheaded any law students they could find. In turn, the rebels themselves were later beheaded by the royal authorities. Henry VIII, in the sixteenth century, was fond of sending people to face the axe-man, including two of his wives. The most famous victim was Anne Boleyn, his second wife. “Compassionately,” Henry sent for the best swordsman in France to come over and do the final deed, as he did not want his wife to suffer. 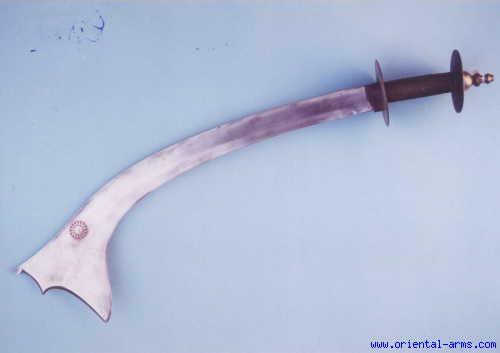 A good swordsman could kill with just one swipe of the sword – an axe-man might need a few swipes, thereby prolonging the agony. Of course, if he had really been compassionate, he would have sent her into exile. He did not have the option of sending her to a convent as he had closed them all down. A little over a century later, King Charles I was beheaded in 1649. A republic was proclaimed under Oliver Cromwell. Cromwell, in turn, was beheaded when the monarchy was restored but by that time he had been dead for well over a year! Decapitation was the punishment for treason. It was reserved for the nobility. The common man had to endure being hung, drawn, and quartered, as was William Wallace, the famous Scot. 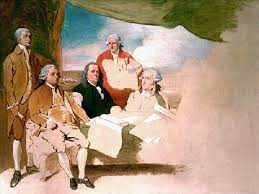 The last English noble to suffer decapitation was in 1747. In Scotland, the last beheading was in 1889. The French were still using the guillotine until a few decades ago. The last public execution was in 1939. Interestingly, witnesses say that people would utter a word or two or blink their eyes after they lost their heads. Just for a couple seconds, that’s all. As a child I often visited the city of Lincoln and loved walking around its famous castle. One high point in the castle wall is where public hangings took place until the mid-nineteenth century. Charles Dickens witnessed the last one. There was a pub across the street, which offered a perfect view of the hangings. It was called “The Hangman’s Noose” and did a roaring trade whenever anybody faced the actual hangman. Hanging had replaced decapitation as the preferred form of capital punishment over a century earlier. Typically, a trial was held within two months of a capital offence. Execution then followed within 90 days, after just one appeal. In stark contrast today, in the US, somebody can be on death row for over twenty years, making the death penalty far less of a deterrent. Back to the two books: I recommend Cornwell’s book. It’s a good read. Kennedy’s is a more difficult read and is only for those who are seriously interested in the subject. Because the two books include many beheadings, and because I have been reading them at the same time as beheadings have been on the news, I studied into the subject more deeply. The result is this article. I hope you found it interesting.